Delivers 24 Highway MPG and 18 City MPG! This Chevrolet Colorado boasts a Gas 4-Cyl 2.9L/177 engine powering this Automatic transmission. WHEELS, 4 - 15" X 6.5" (38.1 CM X 16.5 CM) ALUMINUM (STD), TRANSMISSION, 4-SPEED AUTOMATIC, ELECTRONICALLY CONTROLLED WITH OVERDRIVE (STD), TIRES, P225/75R15 ALL-SEASON, BLACKWALL (STD). 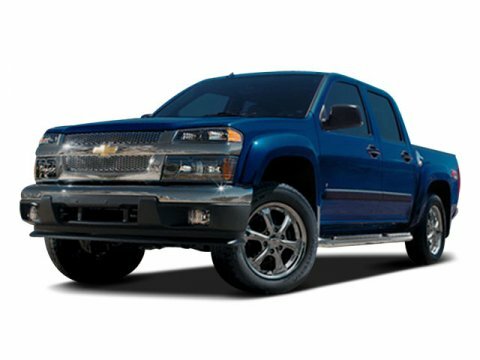 * This Chevrolet Colorado Features the Following Options *TIRE, COMPACT SPARE located at rear underbody of vehicle (STD), SEATS, FRONT 60/40 SPLIT-BENCH WITH LT DELUXE CLOTH, MANUAL RECLINING with integral outboard head restraints, armrest with integral storage and dual cup holders (STD), REAR AXLE, 3.73 RATIO, LT PREFERRED EQUIPMENT GROUP includes Standard Equipment, LICENSE PLATE BRACKET, FRONT, ENGINE, 2.9L DOHC 4-CYLINDER MFI (185 hp [137.9 kW] @ 5600 rpm), 190 lb-ft [263.2 Nm] @ 2800 rpm) (STD), EBONY, DELUXE CLOTH, BLACK, AUDIO SYSTEM, AM/FM STEREO WITH CD/MP3 PLAYER seek-and-scan, digital clock, auto-tone control, Radio Data System (RDS), automatic volume and TheftLock (STD) Includes (UE1) OnStar), Wipers, front intermittent with washers. * Stop By Today *Stop by Bleecker Buick GMC located at 926 E 4Th Ave, Red Springs, NC 28377 for a quick visit and a great vehicle!